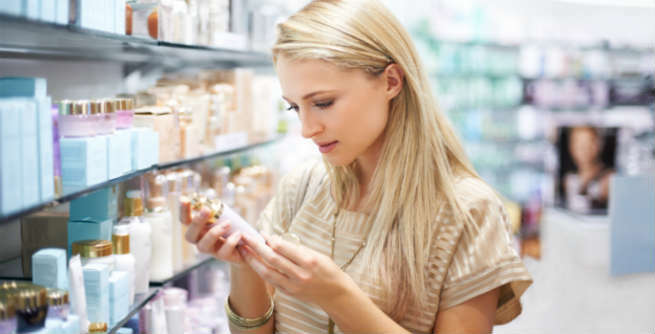 Do you ponder when flipping through magazines or walking through the beauty aisle in department store and noticing about highlighted eye creams purchases? Do I need to use an eye cream? Is that a question that strikes you too? Fret not, we are here to answer your query on the need for an eye cream or not. What is an eye cream and What can an eye cream do ? The skin around the eyes, is the area where the first signs of ageing show in the form of wrinkles, fine lines, darkening. It’s also the area that displays your fatigue levels through dark circles and puffed eye bags. The surrounding area to the eye is exposed to so much make up, chemicals, dirt and dust in the hush bush of everyday life, that it can easily make the skin in that area dull and dry. Eye Creams come as a rescue to all your skin problems around the eye. They help you elevate wrinkles, dark spots, puffiness, dryness, improving the skin texture and brightening the area around your eyes by moisturizing it. The higher constitution of oil in eye creams is only reason where eye creams differ from other face creams or lotions. What do eye creams contain? If you have noticed already available eye creams in the market are hugely popularized with ingredients compounds such as Retinol found in Vitamin A, Vitamin C and K. Cucumber and Herbal Tea extracts are also used popularly for their benefits to the skin. All these Vitamins and eye cream ingredients aim to enhance production of collagen to reduce dark circles, puffiness and ageing signs and symptoms. Always opt for non scented version of eye cream. Take a drop of eye cream on your index finger and massage your under eye skin. A drop is an adequate measure and anything more than that is excess. Make sure you are using the right quantity in the right way. Excess cream or wrong technique can do just the opposite of what you are looking to achieve with it. It’s vital that you follow a diet in cohesion to your beauty regime to yield faster results. Drink at least 8-10 glasses of water, avoid processed and fried foods and switch to herbal tea consumption at least twice a day. Test a product for your skin type, if it does not cause any side effect or irritation, opt for it. Preferably choose an eye cream that has been advised by your doctor. Eye Creams aim to solve the problems faced particularly by the area around the skin being dark circles, puffy eye bags, wrinkles, fine lines. Eye Creams contain ingredients like Calendula, an extraction of plant that relieves dryness and skin damages around the eye area. It is important to start sooner with your eye care and eye cream regime than later when it becomes more than the need of the hour. I am not saying all, but many eye creams come with the same ingredients that a normal facial cream would supplement and to top it all it does not even suffice protection from UV Rays. These products are just marketing hype and are supplied to fad the consumers need to own something just because it is out there. There are many variations available in the market for eye cream and some are way beyond the word economical. It is definitely an add on expense to stock on an additional skin care product, making it difficult to tell which product in the market is really a best buy.